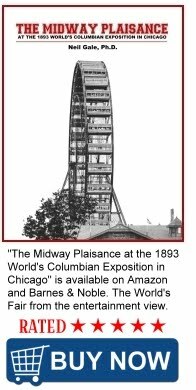 The Digital Research Library of Illinois History Journal™: The First Air Conditioned Theater in the U.S. was the Central Park Theater in Chicago. The First Air Conditioned Theater in the U.S. was the Central Park Theater in Chicago. The Central Park Theater opened in October of 1917 at 3535 W. Roosevelt Road in Chicago changing the movie going experience in America forever. Central Park Theater was the very first air conditioned movie house in the country. There were seats for 1758 people. B&K pioneering efforts were truly ground breaking. Named for the cross street, the Central Park Theater was the beginning of B&K’s long reign in providing the public with a retreat from the hot, humid days that Chicago is notoriously known for during the summer. In the beginning, the air conditioning was provided by huge blocks of ice that would be delivered in the early morning hours. Fans would blow the cool, moist air into the theater auditorium. While crude by today’s standards, this feature was a major draw for people looking to escape the heat if even for just a few hours. Doctors often prescribed a day or two at the theater for those who were suffering from a long list of ailments including heat exhaustion. Nurses were on staff at the larger B&K theaters to address any medical emergencies. These long gone movie palaces would open around noon and stay open until 11pm. For most people, this was their social activity for the week and one way to escape the heat. The Theater closed in 1970. The building was added to the National Register of Historic Places in 2005. 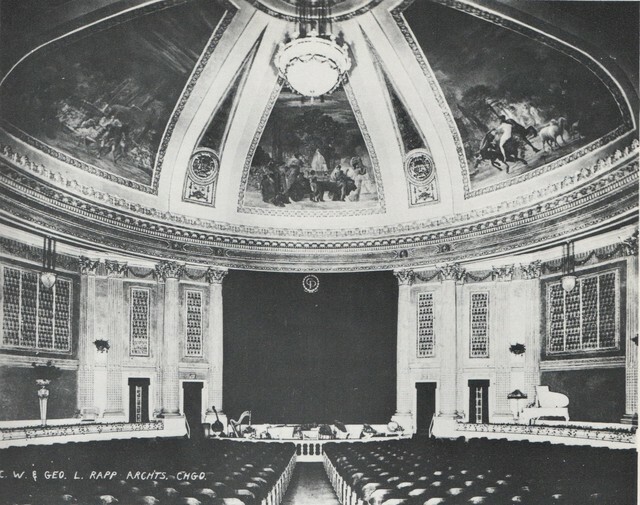 B&K’s theaters were designed by George & Cornelius Rapp. 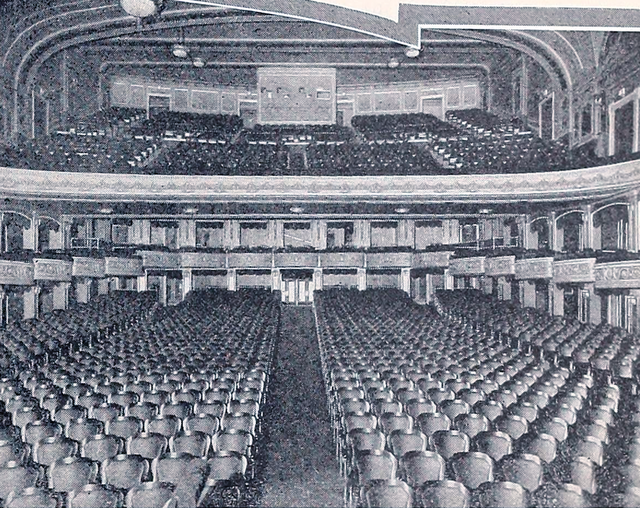 The brothers went on to design theaters around the country and Canada. Chicago Balaban & Katz built theaters included: Oriental Theater, Central Park Theatre, Chicago Theatre, Nortown Theater, Gateway Theatre, Riviera Theatre, Tivoli Theater, Norshore Theater, Regal Theater, Southtown Theater, Paradise Theater, Senate Theater, Harding Theater, Gateway Theater, Maryland Theater, and Uptown Theatre. 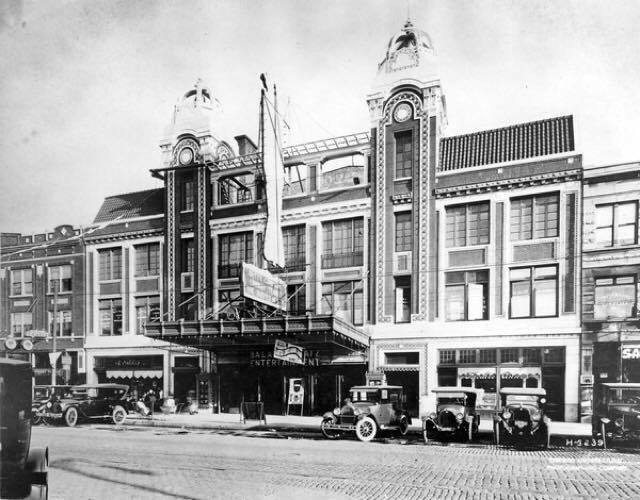 NOTE: These are the Chicago movie theaters that Balaban & Katz purchased; United Artist; Roosevelt; Tower; Varsity (Evanston); Pantheon; Granada; Marbro; Riviera; Covent; Congress; Belmont; Century; Alamo; Belpark; Berwyn; Biltmore; Crystal; LaGrange; Manor; State; and the Alba. That was one of the Roosvelt Road theaters that we attended, although I thought it was called the Century in the 30s and 40s. On the south side of the street nearby were two smaller theaters called the GOLD and the other was the CIRCLE. Our group (won't call it a gang, aka The CALARTS usually attended s a group. Usually stopped at the Sear's Hillans for "free snacks"(a few blocks north on Arthington in the main Sears complex). The Granada, on Sheridan Road near Devon, was also a Balaban & Katz theater. The Granada Theatre was constructed for the Marks Brothers, who, in 1926, were major theatre operators in Chicago. The Marks Brothers operated the theatre until 1934, when Balaban and Katz purchased the theatre.